We all have them: leftovers; and it can be hard to figure out what to do with them! Here at Farm Stand we are known for our chicken and our customers love bringing home its leftovers. Rest assured knowing that there are plenty of recipes for lunch and dinner that help use up that leftover chicken. For lunch, try tossing some shredded chicken in BBQ sauce topped with coleslaw on a toasted bun to create a tasty sandwich for lunch. Or, you can always go for the classic chicken salad sandwich with grapes, celery, and mayo. Leftover chicken is also great to throw on a simple salad for some added protein. A great on-the-go option is a Greek pita wrap. Add the leftover chicken, tomato, lettuce, red onion, tzatziki sauce in a wheat pita for a quick, satisfying meal. For dinner, you can always calm your comfort food cravings with a classic chicken pot pie. Or, if you have a friend or relative who could use some cheering up, you can always bring them a bowl of chicken noodle soup, since homemade is always better! 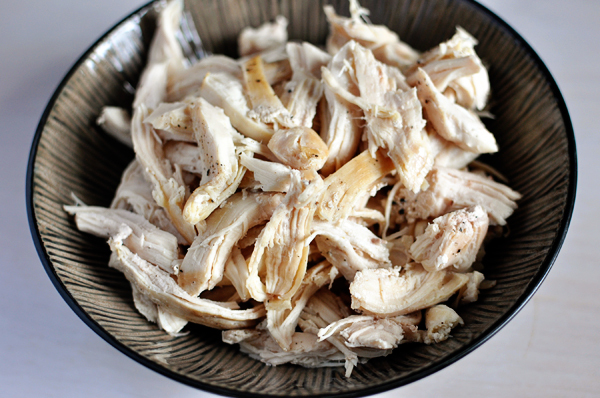 Leftover chicken is also perfect to throw on top of nachos, in some tacos, or in a quesadilla! Add chicken, grilled veggies and monterey jack and cheddar cheese in a tortilla. Serve with chipotle sour cream and guacamole. Now that you have a few ideas for your leftover chicken, there is no excuse for it to go to waste! Tags: Barbecue sauce, Chicken, Chicken salad, Chicken sandwich, elsegundo, farmstandelsegundo, Leftovers | Permalink. If you’re contemplating growing your own herbs at home, but are worried about proper storage, we are here to help! 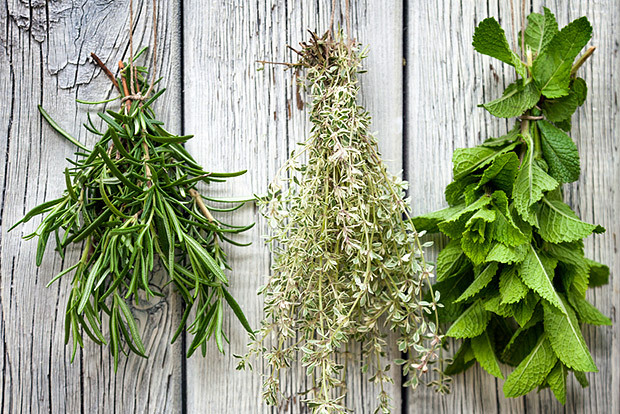 We have a few tips on how to maintain some of the most popular herbs. First of all, long-stemmed herbs like basil, parsley, and cilantro can be cared for as if they were flowers. Trim them every few days and keep them in about one inch of water. Remember not to refrigerate them and they can last up to one week. Other herbs like chives, thyme, and rosemary should be kept in the warmest part of the fridge (usually in one of the compartments of the door), wrapped loosely in some plastic wrap. It is also best not to rinse the herbs until right before use. Now, go forth with your new-found herb storage knowledge and grow a forest of herbs! Tags: Basil, Chives, Coriander, farmstandelsegundo, Gardens, Herb, Plant, Shopping | Permalink. With everyone so busy nowadays, it’s easy for our nutrition to take a backseat and to opt for the easiest solution, like grocery shopping at big-box stores. However, it’s time to get serious about reconsidering where you do your grocery shopping. Farmer’s markets are really the best option for food shopping. 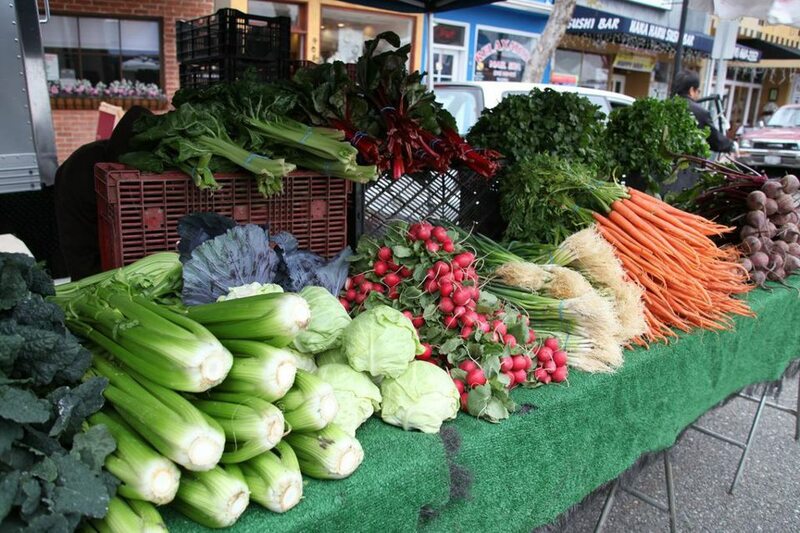 First of all, by shopping at local markets, you are supporting local agriculture and your community. Chain grocery stores usually have most of their produce shipped from throughout the world. This not only adds to its cost, but the nutritional value is lost through the long hauls. That’s another area where local markets are superior to chain stores: the fruits and veggies have a shorter distance to travel, making them filled with more vitamins and nutrients than their supermarket counterparts. Similarly, farmer’s market produce is usually fresher and safer than grocery store produce, which can be prone to harmful bacteria like E. coli. Also, local markets are often much more environmentally friendly than the supermarket because you can just throw your produce in your reusable bag instead of wrapping your fruits and veggies separately for scanning at the register. Lastly, the farmer’s market is tons of fun! You get to chat with the farmers themselves (who love giving out helpful tips and recipes), you get some fresh air, and bringing the kids and dogs make it a fun field trip for the whole family! Needless to say, we at Farm Stand are huge advocates for our local Farmer’s Market and we encourage you all to adopt the same mindset! Tags: Business, elsegundo; farmersmarkets, Farmer, farmer's market, farmstandelsegundo, Food, Grocery store, Local food, Produce | Permalink. There are only a couple days until Independence Day and many are torn on what to do to celebrate. Many feel like they have to travel to other cities in order to experience the ultimate firework show, but in reality it is right here in your community! Here there are ample options on local activities for you and your loved ones. The two major options are the Seaside Lagoon Celebration and the El Segundo Recreation Center. 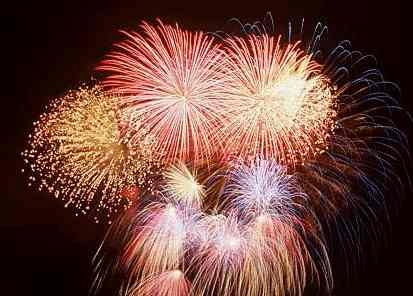 The Seaside Lagoon is holding its 7th annual Fourth of July celebration. With doors opening at 2pm on Thursday, there are activities such as arts and crafts for the kids to live rock bands performing in order to satisfy every member of the family. Each half hour there is a new activity opening up so that there is always new and exciting things going on! Last year the tickets were sold out so it is mandatory to get your tickets as soon as you can in order to secure your spot in this ultimate Fourth of July celebration. Also note that there are parking passes for sale on the website as well as many alternate parking options! The second option is the El Segundo Recreation Center which was voted one of the best places for fireworks in Los Angeles by CBS. This event begins at 11am on Thursday and is known for their family fun games and the various amounts of food booths! This event will have live performances beginning at 5pm to begin the night time activities. Grab your loved ones around 9pm for the famous firework display. This is the classic option for Fourth of July in El Segundo! Either option is a perfect option for this year’s Independence Day festivity. So sit back and don’t worry about traveling this year because the ultimate fun is just right here in your community! Tags: community, elsegundo, farmstand, independenceday, organic, redondobeach | Permalink.